I beg to dicker with my silver-tongued companion, whose lips are ready to read my shining gloss. A versatile partner, conversant and well-versed in the verbal art, the dictionary is not averse to the solitary habits of the curiously wide-awake reader. In the dark night's insomnia, the book is a stimulating sedative, awakening my tired imagination to the hypnagogic trance of language. Retiring to the canopy of the bedroom, turning on the bedside light, taking the big dictionary to bed, clutching the unabridged bulk, heavy with the weight of all the meanings between these covers, smoothing the thin sheets, thick with accented syllablesñall are exercises in the conscious regimen of dreamers, who toss words on their tongues while turning illuminated pages. To go through all these motions and procedures, groping in the dark for an alluring word, is the poet's nocturnal mission. Aroused by myriad possibilities, we try out the most perverse positions in the practice of our nightly act, the penetration of the denotative body of the work. Any exit from the logic of language might be an entry in a symptomatic dictionary. The alphabetical order of this ample block of knowledge might render a dense lexicon of lucid hallucinations. Beside the bed, a pad lies open to record the meandering of migratory words. In the rapid eye movement of the poet's night vision, this dictum can be decoded, like the secret acrostic of a lover's name. 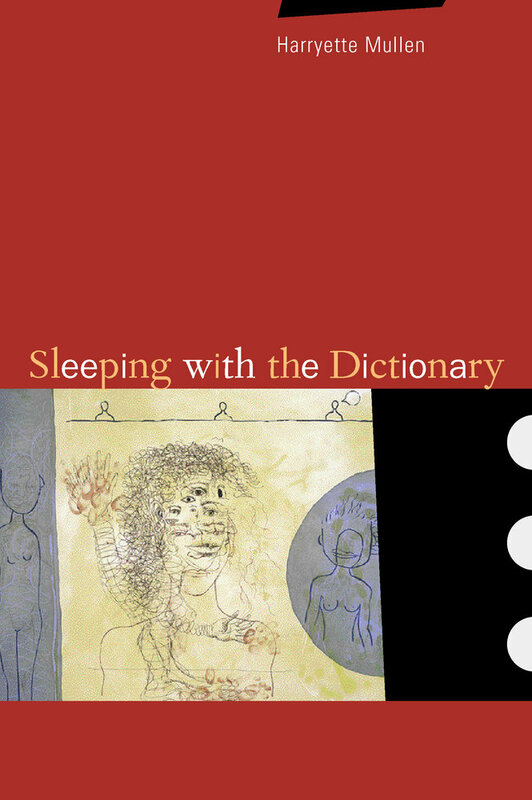 Harryette Mullen's fifth poetry collection, Sleeping with the Dictionary, is the abecedarian offspring of her collaboration with two of the poet's most seductive writing partners, Roget's Thesaurus and The American Heritage Dictionary. In her ménage à trois with these faithful companions, the poet is aware that while Roget seems obsessed with categories and hierarchies, the American Heritage, whatever its faults, was compiled with the assistance of a democratic usage panel that included black poets Langston Hughes and Arna Bontemps, as well as feminist author and editor Gloria Steinem. With its arbitrary yet determinant alphabetical arrangement, its gleeful pursuit of the ludic pleasure of word games (acrostic, anagram, homophone, parody, pun), as well as its reflections on the politics of language and dialect, Mullen's work is serious play. A number of the poems are inspired or influenced by a technique of the international literary avant-garde group Oulipo, a dictionary game called S+7 or N+7. This method of textual transformation--which is used to compose nonsensical travesties reminiscent of Lewis Carroll's "Jabberwocky"--also creates a kind of automatic poetic discourse. Mullen's parodies reconceive the African American's relation to the English language and Anglophone writing, through textual reproduction, recombining the genetic structure of texts from the Shakespearean sonnet and the fairy tale to airline safety instructions and unsolicited mail. The poet admits to being "licked all over by the English tongue," and the title of this book may remind readers that an intimate partner who also gives language lessons is called, euphemistically, a "pillow dictionary." Harryette Mullen is Associate Professor of English and African American Studies at the University of California, Los Angeles. She is the author of Tree Tall Woman (1981), Trimmings (1991), S*PeRM**K*T (1992), and Muse & Drudge (1995).